I worked as a coach and PE teacher at a community school with two other British university students. Our days would consist of 2 or 3 PE lessons, sport specific coaching sessions and helping out in some English lessons. Teaching a class on life skills! 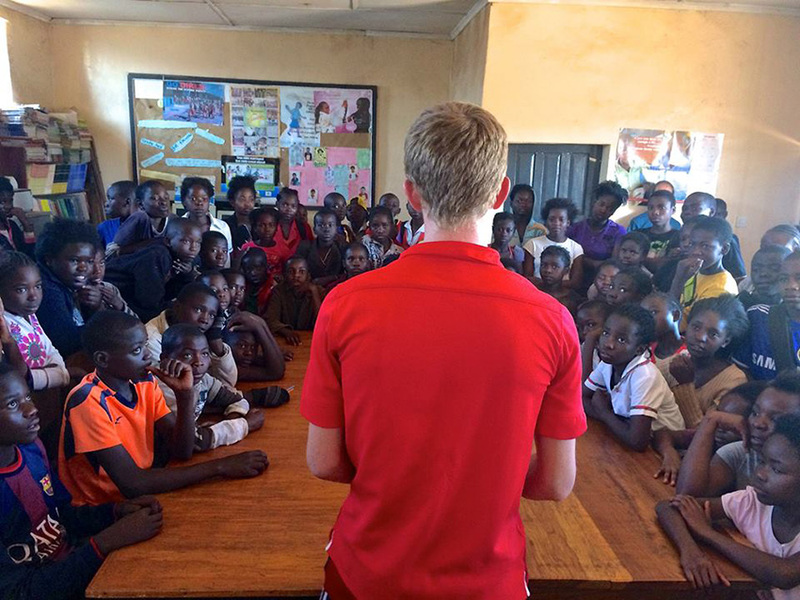 I coached the same under 12s community football team every day for up to 2 hours, depending on when they decided to turn up (Zambians have a reputation for not running to time and we got used to ‘Zam time’!). It was an amazing experience to be able to work with and see each individual grow both technically and as a person. 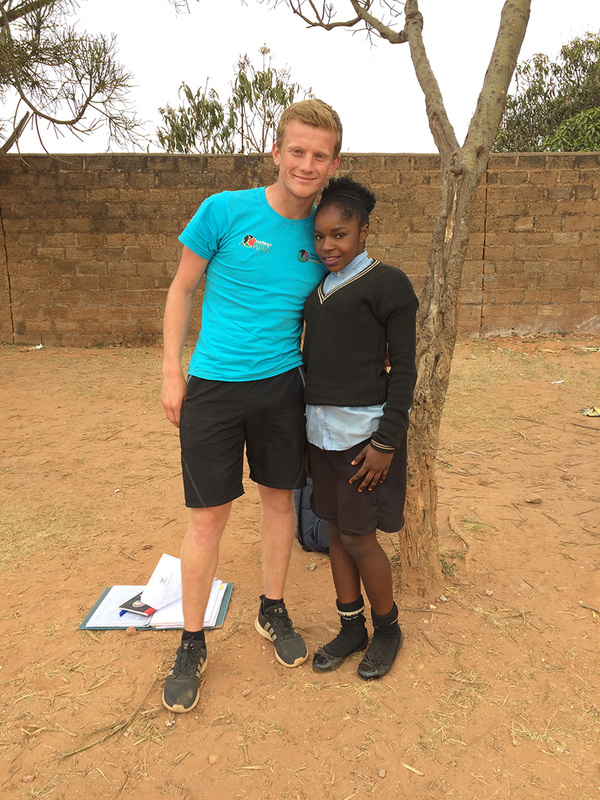 Before I left Lusaka, I was thrilled to be able to commit to sponsoring one of my players, Ruth, to go back to school after being removed by her parents two years prior to look after her siblings. For the final week and half, I moved to a rural village, living and teaching in a local school with no electricity or running water. This experience was a challenge but highlighted the immense power that sport has to develop individuals and communities. Everyone I worked with in Zambia was fantastic. I then returned in 2017 as the Project Manager, a role that saw me managing 26 students in a variety of roles including Coaching, PE Teaching, Sports Management, Performance Analysis, Dance and Events Management. The first highlight for me was visiting Ruth in school and seeing the massive improvements she had made in just two years! It was great to see Ruth back at school and doing well. The second highlight was being a part of a 5-day fundraising event. 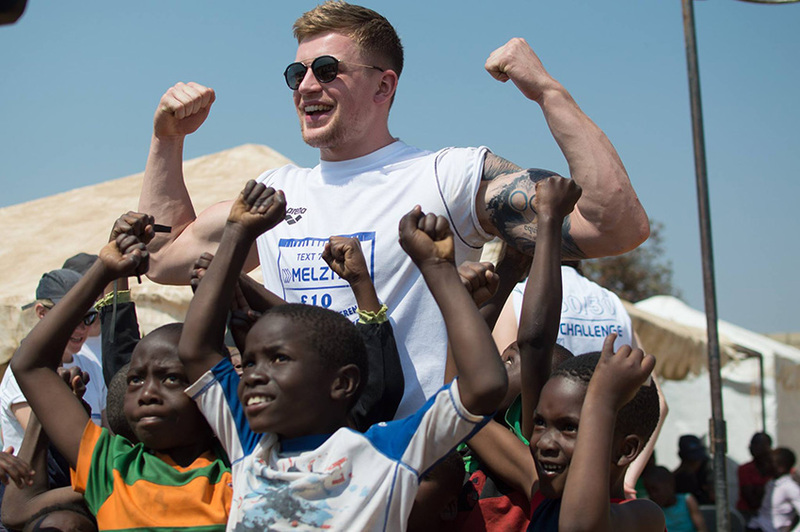 Olympian Adam Peaty and a team of 12 others came out to Zambia to complete 50 hours of sport in 5 days and officially open a new community facility. 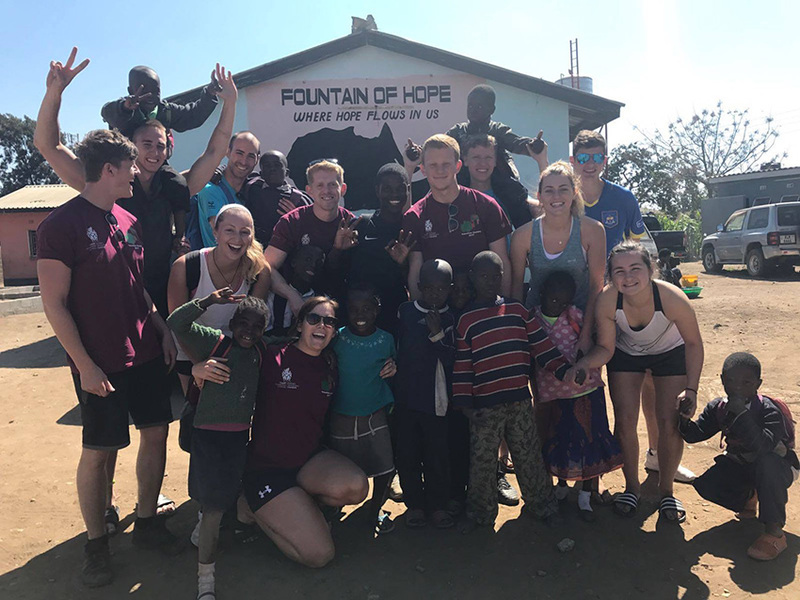 The event raised over £30,000 which will go towards food programmes, the school sponsorship programme and creating more safe spaces to facilitate sports. It was great to meet an Olympian and be part of an event that raised so much for a great cause. Everyone I worked with in Zambia was simply incredible, even those living in communities with high levels of poverty. Every session I put on would be attended by children always smiling, happy to see me, willing to learn and always so appreciative. The whole experience was eye-opening, and I challenge anyone to go out there and come back saying they have not developed or learnt something about themselves. 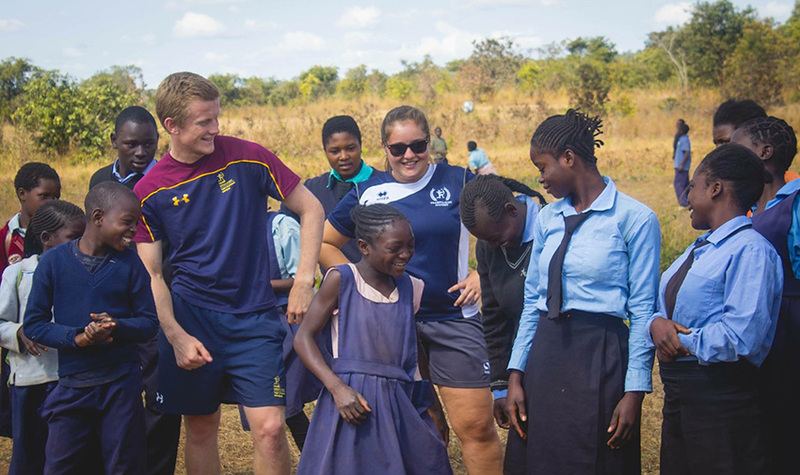 Also, in terms of professional development, coaching in Zambia provided me with some very unique challenges to learn from, from the very poor facilities to the variance in participant numbers being anywhere between 2-60 people! I also learned to expect the unexpected – in the middle of one session, all the players dropped to the floor shouting “coach, coach, get down, killer bees!”. Followed by a large swarm of rather large bees flying across the pitch! I’ve had worse weekends off! 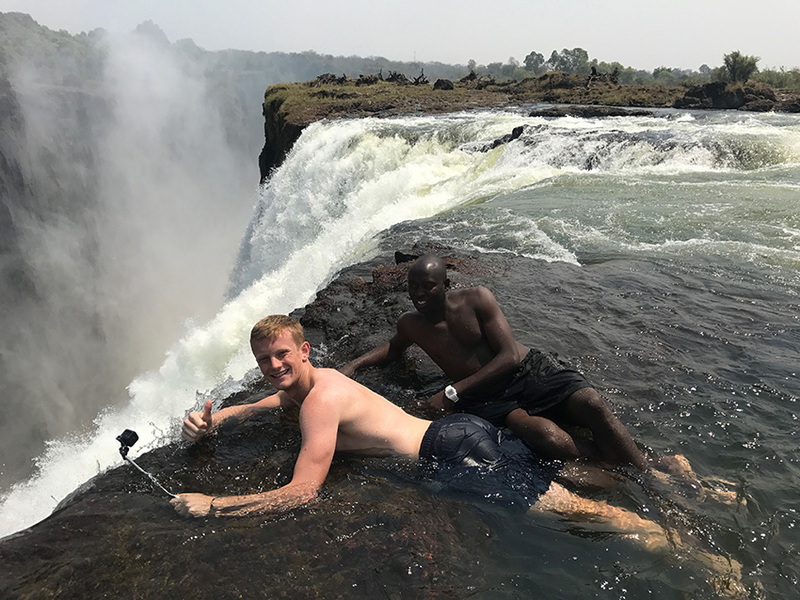 During the time there we took a long weekend off to go to Livingstone to explore the amazing Victoria Falls, and we also had the opportunity to go on safari and try white water rafting. My Zambia experience is something I’ll never forget. 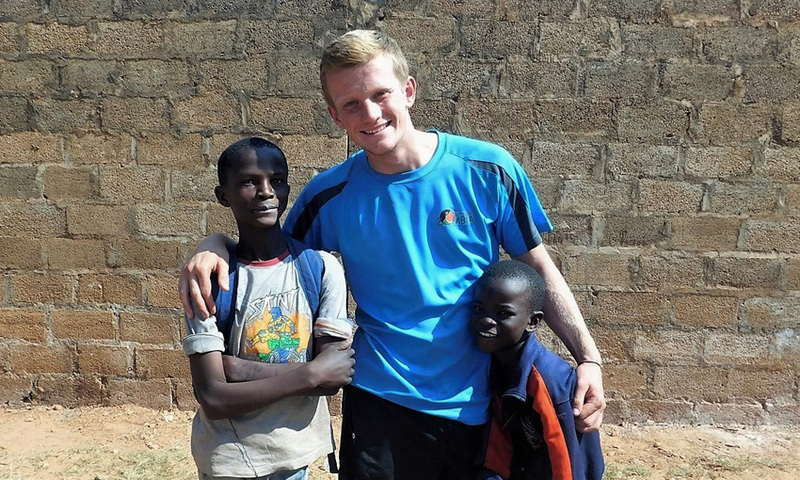 Sorry to end on a cliché, but honestly – Zambia has changed my life. Zikomo (Thank You)! Check out more posts on travelling and studying abroad with us.